When we started Densho 22 years ago, we had a simple six-word vision statement: “Preserve the Past, Inspire the Future.” We used this vision statement to create our mission of inspiring action for equity by preserving and sharing the testimonies of Japanese Americans who were unjustly incarcerated during World War II. This vision and mission provided us with a touchstone over the years in making decisions about which projects to do and, perhaps more importantly, which projects not to do. Over time, we created mission-aligned, award-winning programs: doing oral history interviews, digitizing historic photographs and documents, creating online encyclopedia and education courses, developing a sophisticated content management system, and producing a blog and public programming to connect history with current events. The success of these programs has inspired ideas and opportunities that go beyond our current mission – for example, helping other Asian American communities digitize materials, or conducting interviews around topics that are currently not in our scope. To help us grapple with these ideas we will be reaching out to the community to discuss whether to recommit to our current path, or to change or broaden our scope. These discussions will shape Densho’s future and we want to hear from you. Please contact me at tom.ikeda@densho.org and let me know what vision, mission, projects, and opportunities you see in Densho’s future! In stories of the forced removal and incarceration, certain types of stories recur. There is the shock of Pearl Harbor and the subsequent exclusion orders, the preparations for removal including human “vultures” who come by to buy household goods for a fraction of their value, and Issei women who break dishes rather then sell them at such prices. Once at the concentration camp, there is dust, extreme temperatures, barbed wire fences and guard towers, spartan living conditions (sometimes in converted horse stalls), lack of privacy, and the slow disintegration of family life. And there are the toilets. Always the toilets. Yukiko Miyake was born in Seattle, Washington. 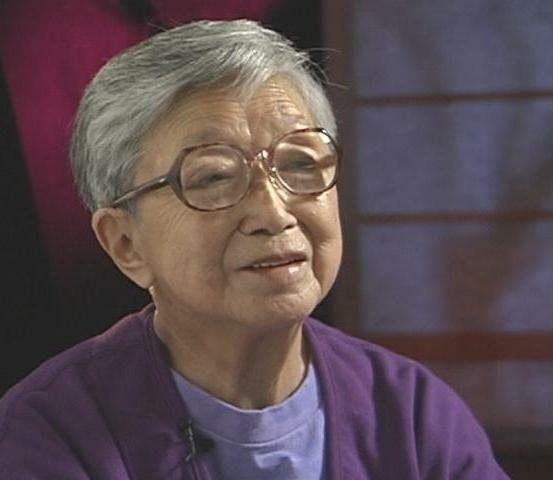 During World War II, she was incarcerated at the Puyallup Assembly Center, Washington, and the Minidoka concentration camp, Idaho. 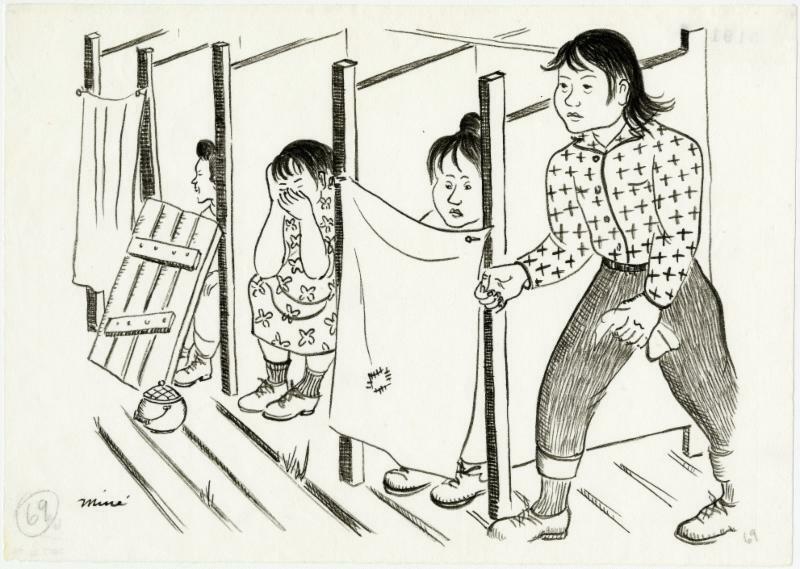 In this clip, she describes receiving a gift of otsukemono (pickled vegetables) that an Issei woman had made for her in the latrines at Minidoka concentration camp. "The Shizuko and Shigenori Oiye Collection is ​one that I am personally proud to have in the Densho Digital Repository. Shizuko and Shigenori were my grandparents and they kept a small collection of art, photographs, and documents related to their lives during World War II. 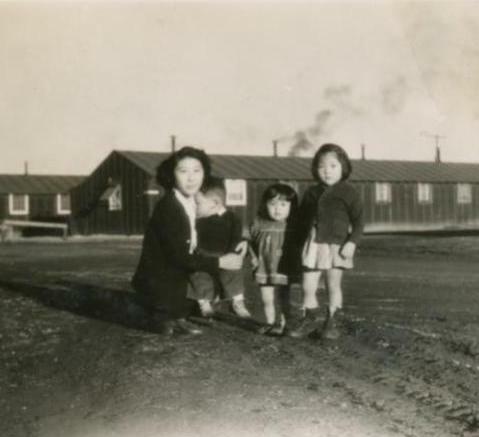 The small snippets from Tule Lake, from sketches my grandfather made to photographs of my family going about their daily lives in camp, help me maintain a connection to my grandparents even though they have been gone for many years now." >> View the collection . If Japanese American/Canadian incarceration happened today, what would you bring with you? 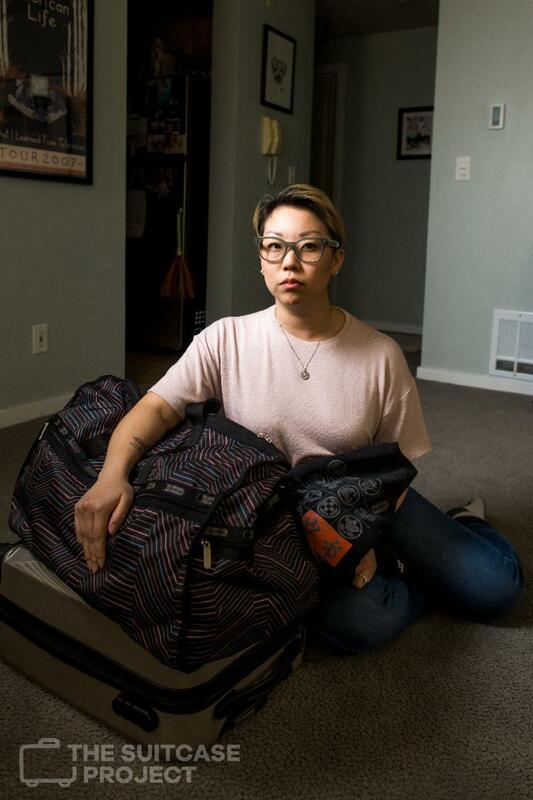 That’s the question at the heart of Kayla Isomura ’s new Suitcase Project . This year she has been photographing Yonsei and Gosei in Seattle and Vancouver who answered her call for participants. The portraits serve as somber reminders of our not-distant past and will appear in an exhibit opening June 16, 2018 at the Nikkei National Museum . We talked to Densho Development Manager Danielle Higa about her experience as a participant in The Suitcase Project, and then to Kayla Isomura about the thinking behind the project and her reflections now that it’s wrapping up. The second annual Densho Dinner will be held on November 3, 2018. 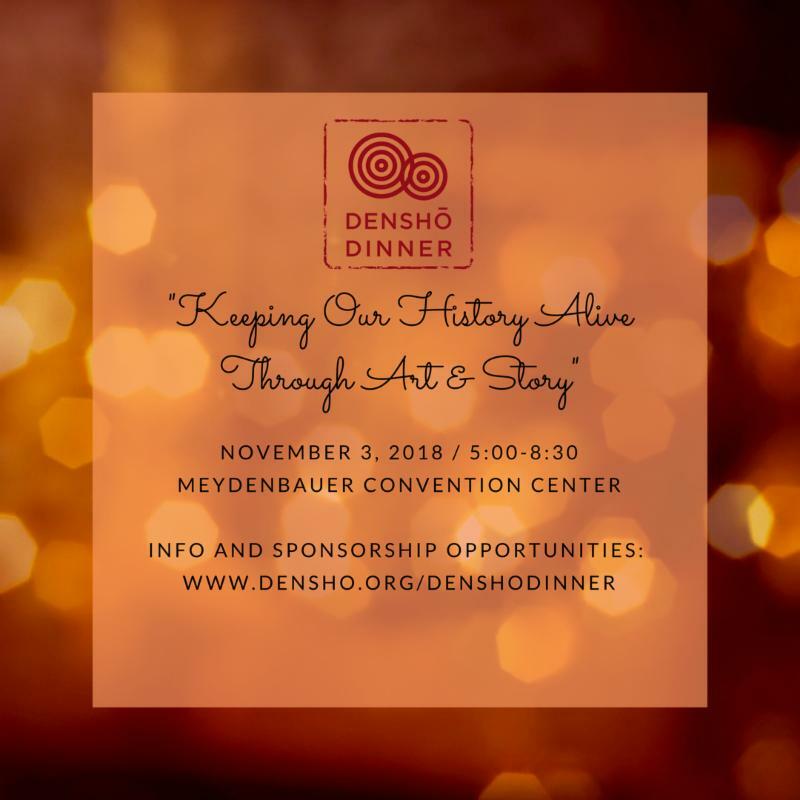 Join us for a sushi & sake reception, an elegant seated dinner, live and silent auctions, and an inspiring program that will honor our past, deepen conversations through art and story, and reinvigorate our commitment to standing up for justice today. This will truly be a night to remember and your participation will help Densho continue its important work for years to come. >> More info and tickets .